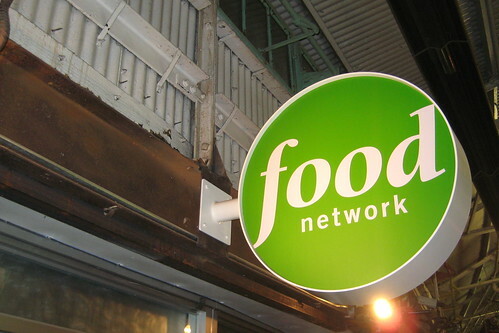 The Food Network finds a new home In Manhattan's Chelsea Market. Situated in Manhattan’s Chelsea Market–the 100 year old former National Biscuit Company/Nabisco factory–the Food Network project was filled with enough drama to inspire its own TV show. For those who transformed the 100,000 square feet of raw space on three different floors into efficient office space, high tech production rooms, food prep facilities, and a television studio, it was a project of a lifetime. Here is that story, as told by three key members of the project team. What is the history of this building? Gonzalez: It’s comprised of about 17 different buildings, yet it appears to function as one facility. There are numerous entrances and elevators. I have four freight elevators for my spaces on floors two, three, and six, and I have a 5′ difference between my second and third floor. Despite these obstacles, how did you select this building? Crowley: Five years ago, we entered into a lease agreement for space on the ground floor and in the basement. At the time, street level studios were the “in” thing, and we thought about having people look in while we filmed. When we got into the design and development process, we discovered the ground floor space couldn’t accommodate everything we needed. So we backed off and regrouped. Meanwhile, a new president came on, and she suggested we get the whole operation together under one roof. At the time, some people were in a rented studio over on 52nd Street, and the rest of the brand was at 1180 Sixth Avenue. It was a very inefficient way to do business. So we estimated spatial needs for the offices, studio, and kitchens, came up with a rough program, and presented it to the building owner at Chelsea Market. We also turned it over to a broker at Cushman & Wakefield, because we didn’t really think we’d find enough space here. Finally, we came up with an unconventional idea. We’d build a studio shell on the sixth floor and bridge over the open atrium to create connecting space for the kitchen and support offices. Then the owner took back space from tenants on the second and third floor to meet the remainder of our requirements. Killoy: When I joined the team in July 2003, I was skeptical, especially when I came into a 100 year old building and saw wooden floors, and vast, open space. Somehow, I was going to have to build a steel shell over another wooden structure and tie it into the brick walls. I never had a doubt that we could do it, I just felt the timeline compressed it a little too much. How involved were the building owner and manager in the design and? specification process of your space? Crowley: All they gave us was the raw space. However, because of the structure of the deal, the owner was responsible for building the studio shell and bridges on the sixth floor. It was part of the agreement. So our architect worked with the owner’s architect on designing the studio shell to make sure we had the right structural capacities. Aside from that, they weren’t involved in anything-the lighting fixtures, HVAC systems, flooring options, and so on. We’re tied into the building’s heat system, but we’ve got our own mechanical equipment. It’s all on us. What about the chefs? Did they request prototype spaces for evaluation? Crowley: Some stars come in to see if they have any issues with the sets. Killoy: But most are rarely asked to contribute. Emeril is the exception, because his set is designed to reflect his restaurants. It’s fairly well known that Emeril uses [the architect] David Rockwell for his restaurants. It was a challenge to work with Rockwell, because he never designed a television set before. He designed theater sets and restaurants, and his restaurants are very extravagant. He sends people around the world to buy materials or have things manufactured. We weren’t in a position to build that type of set, because most sets are far more expensive than people think. They average around $200,000. There are many restrictions we put on that design team, because we need to have certain things. It’s not just an audience watching the show. There are lighting angles and huge cameras with massive extension arms. We also have a band that changes out between shows. Emeril would take a look at the renderings, but he wasn’t really involved more than that. When he showed up here the first time and took a look at it, he was pretty shocked-in a good way. I don’t think he realized it could come out as close to his restaurants as it did. How many designer/architect teams did you have? Crowley: The building owner’s team was working on the studio shell. Scripps had its own group, then there were the set designers. Killoy: We also had a lighting design company, LDG, who worked on the system for the studios and the kitchen. We didn’t want the kitchen to be one big showcase for people to walk by; we actually wanted to produce shows in there. We put in lighting grids and broadcast service panels (BSPs) so we could feed our cameras in, out, and up to our control rooms. It takes a lot of thinking to integrate this in a kitchen of that size. Crowley: And still make it aesthetically pleasing. Killoy: We’re going to be starting a new reality show soon, and 90% of the show will be shot in that kitchen. Were there specific challenges because of the multifaceted demands of the space? Killoy: Most studios don’t cook. That in itself is a big challenge. With that comes a natural concern over fire and safety. Utilities were a huge part of this project. It’s unlike any other studio. You need to run gas (it has to be gas) and power for those appliances. All chefs want their professional gas appliances adjusted to a certain temperature. These are not just your average restaurant chefs; these people are stars. They’re more particular about their requirements. They can be very demanding. If we didn’t get gas, I don’t know what would have happened! Crowley: When I think of this project, the thing that pops into my head first is conduit. We have a technical control room studio up on the sixth floor, and the post production rooms are down on the second floor. Those need to be connected with a lot of cabling-over 600 cables. There are no vertical shafts, raceways, or those sorts of things here, so for us to connect the second and sixth floor was like going through a maze. There were other tenants in between, which made it even harder. Just getting connectivity from the main IT and phone rooms was tremendous. Killoy: Then we had to put in UPS and isolated ground systems. The isolated ground system in video production is probably the most important thing, because any violation puts noise into the video signal. It also wreaks havoc with the audio. We had to go all the way to the copper pipe water main in the basement to hook up a two-out cable and then bring it back up. Let me tell you, electrical contractors are not used to working with broadcast integrators. It’s difficult to get them to understand why they need to do things a certain way. Sometimes we had to disconnect everything and then reconnect each thing individually to find out where our problems were. The kitchens were a big part of the project. How did you handle HVAC issues? Crowley: We’re still wrestling with balance issues in the kitchens. Gonzalez: The hoods, the make up air-we’re still not quite where we need to be. We will continue to work on that. Killoy: Air conditioning in the studio and technical departments is always a challenge. I think we have 150 tons just for the studio, so imagine the tonnage we have with all the technical facilities. Air conditioning is very important in a broadcast facility. How long was the construction process? Killoy: Rehabbing the third floor-taking down stuff from the previous tenant-started in August 2003. Crowley: We started our construction in December 2003. The building owner was working for four months to put the studio shell on the sixth floor. Killoy: My group-about 50 people- moved first [June 2004]. Crowley: We wanted his group in so it could shake out all the production systems, get familiar with them, and get trained on them. Then we had about a month before the next move. Gonzalez: Tom’s group got to check out the new phone system and figure out how to get around this building. Then we brought in the studio operations (the kitchen and production people) from 52nd Street. They came and got acclimated to the kitchen and the new set upstairs. We brought in everybody else from 1180 [Sixth Avenue] over the July 4th weekend. We have approximately 125 employees here right now. Who was in charge of purchasing for the project? What was the vendor selection process like? Gonzalez: We have a size standard that we follow for office complements and cubicles, but beyond that, we worked on our own. We selected the manufacturer and decided on the colors-orange and green. Gonzalez: We conducted a survey with employees to find out what would work and what they wanted. Our work stations are designed with those needs in mind. We asked if people wanted lower cubes or higher cubes. What worked best? Everybody wanted a little more privacy, but they wanted light to come in. So there’s clear glass on the top and frosted glass in the middle. We did have a little more flexibility with Xsite from Kimball, and people here are very happy with it. Everybody has VHS tapes in their cubicles, so the cabinets hold over 120 VHS tapes. We put in whiteboards and two drawer pedestals with soft seats on top, so someone can actually visit the work space. As for the carpet, we selected the squares, because it was something that we liked, and we can easily change them out when they’re stained. Crowley: Scripps doesn’t have a carpet standard or anything like that, but I’m now trying to incorporate things we did here into modifications for some of our other facilities. We may eventually go to Kimball Xsite in other locations, and if we possibly can, we’ll put carpet squares everywhere, because they’re just so much easier. Killoy: Whenever we have to go into the floor, we usually pull up a row. Most of the time, the only reason we go under there is to pull more wire. In broadcasting, there is always more wire to pull. Gonzalez: Tom has spent his whole life pulling wire through conduit. Have you had any maintenance issues? Gonzalez: I do have one area where the smell of cigarettes is a problem. This is a no smoking facility, but someone is doing it anyway. The smoke is coming in through my intake air. We’ve changed out the filters, and we’re doing some other tests to discover the source. Crowley: The culprit may be smoking next to an open window. Gonzalez: Since the windows are old, people can just open them whenever they’d like. It could be the break area of a tenant on another floor, and smokers aren’t going outside. It seems they like to smoke at 3:00 pm. Are there any sustainable design elements in this project? Gonzalez: We did incorporate features that would improve the commute for people. I have a shuttle that runs continuously from 1180 down here every day. In the evenings, the shuttle will take people to Grand Central Station or the Port Authority. We’re concerned about our people, especially those who have a long commute. Crowley: We also have some basement space for prop storage, but we’ve carved out an area for a bike locker. Killoy: That was one of the biggest demands-bike racks. It was important for people to be able to store their bikes without worrying about them being damaged or stolen. There are many people in my group as well who ride their bikes to work. Are there any qualities of this facility that set it apart from other projects? Crowley: I think the scope and complexity set it apart in my mind. This was the largest single facility that we’ve done for Scripps Networks. It was a highly technical build out with a studio on the sixth floor-which is crazy! There was also the fact that we got it done on time. That ultimately saved Scripps money. If we had to renew leases where we were, it would have been very expensive. What I like most about this project is probably the project team that met every week. We managed to-even though we were dealing with some very difficult topics-have a good time. That’s one of the core values of Scripps Networks-humor in the workplace. What is the most noteworthy part of this project? Killoy: The sixth floor. In the broadcast business, you don’t get the chance to build a kitchen of that size or quality and combine it with a studio in the process. I think the proudest moment anyone here has right now is when a visitor comes into that space during an Emeril show. You’ve got 200 people in there. There’s so much excitement and build up. When you see a production like that pulled off in a space you’ve created, designed, and built, there’s a large degree of satisfaction that goes with it. Crowley: I agree. The sixth floor in its entirety constitutes what this project was all about. Put a highly technical facility with all the support operations into a 100 year old building, and it’s all right there. These components make this facility unlike any other studio anywhere. Gonzalez: It was the perfect marriage. When people come in here, they love our facilities. Some only come into the office portion; they don’t go into the studio. It’s an inviting environment. Crowley: That’s true. I mention the studio and the kitchen, but the majority of the space is the second and third floors. What are employees and visitors saying about the new space? Gonzalez: It’s warm; it’s different. You’ve got wood floors, carpeting, brick walls, indirect light fixtures, and high, open ceilings. People are always impressed by our color schemes and the openness. They like it a lot. It has personality. I just finished a small renovation in 1180, and it’s a different feel down here. You walk in and you feel a buzz. It has a presence. Killoy: The people who may be happiest are those from my group and the kitchens. They were in very cramped quarters. Our post [production] rooms were about a quarter of the size of what we have now. After a while, it can have an impact on the way people think creatively. Previously, all the equipment was inside the rooms. This added a huge noise and heat factor. While air conditioning can take away the heat, it can’t do anything about the noise. It was almost impossible to be creative with all that noise, especially with audio mixes. So we emulated the Knoxville facility and put all of our equipment out in the hallways. To come here and have a nice room to work in, for my people, it’s all the difference in the world. Then there are the benefits of the studio, which is far more technologically advanced than where we were. It’s ergonomically and aesthetically superior as well. Crowley: As Tom said, everything was on top of everything else. Killoy: People were in offices the size of closets. Gonzalez: There were two people in there; sometimes three! Now everyone is happy to be here. It’s a whole new world. There’s banking, great food, and it’s a little easier commute. It’s a much better environment. Do you have a comment? Share your thoughts by writing to [email protected], or search for past Showcase article here. Function of Facility: Media/Cable Television Network. Owner: CFG/AGSCB 75 Ninth Avenue LLC; then sold to Jamestown Chelsea Market LP. Manager: Around The Clock Management; then Jamestown Commercial Management Corporation (after sale). Developer: Scripps Networks, Inc. Broker: Cushman & Wakefield NY (Samuel Clark III). Project Management Team (in house): Mark Hale, EVP operations, Scripps Networks, Inc.; Pete Crowley, VP property development and facilities management, Scripps Networks, Inc.; Thomas Killoy, VP operations, Scripps Productions NY; Bill Jarett, VP engineering, Scripps Productions NY; Diana Gonzalez, director of facilities NY, Scripps Networks, Inc. Timetable: Site selection started October 2002; studio online July 2004. Architect: HLW International, LLP (overall); Giampetro Associates (kitchen design). Electrical/Mechanical Engineer: Arthur Metzler Associates. Structural Engineer: Goldstein Associates, PLLC. General Contractor: LEHR Construction Corp.
Project Management Consultant: VVA Inc. Lighting Designer: HLW International (offices); The Lighting Design Group and Pook Deimont & Ohl (studio lighting and grid). Interiors and Furnishings: Trish Martin Associates. Furniture: Kimball’s Xsite (work stations), Footprint (case goods), and Fundamental (office storage). Specialty Storage Equipment: Commercial File NY; Jeter Systems Inc. (high density tape storage). Technical Room Consoles: Forecast Consoles. Wall Coverings: Architectural Systems; Barrisol. Flooring Systems: Dex O Tex (access flooring); Altro; Expanko. Carpet: Oxygen from Milliken; Bentley. Light Fixtures: Winona; Corelite; National; Color Kinetics; Gammalux; Lightolier (indirect fixtures). Acoustics/Sound Masking: Walters-Storyk Design Group. Rest Room Fixtures: Bobrick; Metpar. Door Locks: Schlage. HVAC: York; Aaon. Building Management System: Marietta Automated Systems. Power Supply Equipment: Liebert UPS. IT Infrastructure: Design DVI Communications.